Dr. Long recently retired from Lawrence Livermore National Laboratory where she was the Principal Associate Director at Large and Fellow in the LLNL Center for Global Strategic Research and the Associate Director for Energy and Environment. She is currently a senior contributing scientist for the Environmental Defense Fund, Visiting Researcher at UC Berkeley, Cochair of the Task Force on Geoengineering for the Bipartisan Policy Center and chairman of the California Council on Science and Technology’s California’s Energy Future committee. Her current work involves strategies for dealing with climate change including reinvention of the energy system, geoengineering and adaptation. As Associate Director for Energy and Environment Directorate at Livermore, she led programs in Earth System Science and Engineering, Nuclear System Science and Engineering, National Atmospheric Release Advisory Center, and the Center for Accelerator Mass Spectrometry including disciplines ranging from Earth sciences, to energy efficiency to risk science. From 1997 to 2003 Dr. Long was the Dean of the Mackay School of Mines with academic departments in Geological Sciences, Mining Engineering and Chemical Engineering and Materials Science and Engineering as well as the Nevada Seismological Laboratory, the Nevada Bureau of Mines and Geology and the Keck Museum. Dr. Long led the University of Nevada, Reno’s initiative for renewable energy projects and served as the Director of the Great Basin Center for Geothermal Energy and initiated the Mining Life-Cycle Center. Prior to this appointment, Dr. Long worked at Lawrence Berkeley National Laboratory for 20 years. She served as Department Chair for the Energy Resources Technology Department including geothermal and fossil fuel research, and the Environmental Research Department. She holds a bachelor’s degree in engineering from Brown University and Masters and PhD from U. C. Berkeley. Dr. Long has conducted research in nuclear waste storage, geothermal reservoirs, petroleum reservoirs and contaminant transport. Dr. Long is a fellow of the American Association for the Advancement of Science and was named Alum of the Year in 2012 by the Brown University School of Engineering. Dr. Long is an Associate of the National Academies of Science (NAS) and a Senior Fellow of the California Council on Science and Technology (CCST) and the Breakthrough Institute. 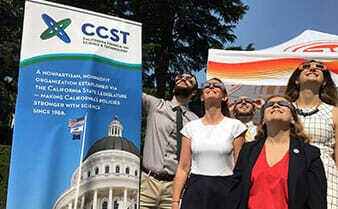 Dr. Long currently chairs the “California’s Energy Future” study conducted by CCST. She is co-chair of the Bipartisan Policy Center’s Task force on Geoengineering and was a member of the steering committee for the Royal Society Solar Radiation Management Governance initiative and member of the Governor’s Task Force on California’s Adaptation to Climate Change sponsored by the Pacific Council. She is a member of the board of directors for Clean Air Task Force. For NAS, she has been chairman of the US National Committee for Rock Mechanics, the Committee for Fracture Characterization and Fluid Flow and committees to recommend research for geotechnical engineering and the Environmental Management Science Program for DOE. She served on the NAS/NRC Board on Radioactive Waste Management, and the Board on Energy and Environmental Systems. In 2001, she was appointed as a member and subsequently chair, of the State of Nevada Renewable Energy Task Force. She is a former member of the Stanford University College of Earth Sciences Advisory Board, the UC Berkeley Department of Nuclear Engineering Advisory Board, the Colorado School of Mines Department of Geophysics Advisory Board, the American Geological Institute Foundation Board, the Energy and Environment and National Security Visiting Committee for Brookhaven National Laboratory, the Intercampus Advisory Board for the UC Energy Institute, and chairman of the mitigation advisory committee of the NAS Koshland Science Museum’s Climate Change exhibition. She joined the CCST Council in 2013.